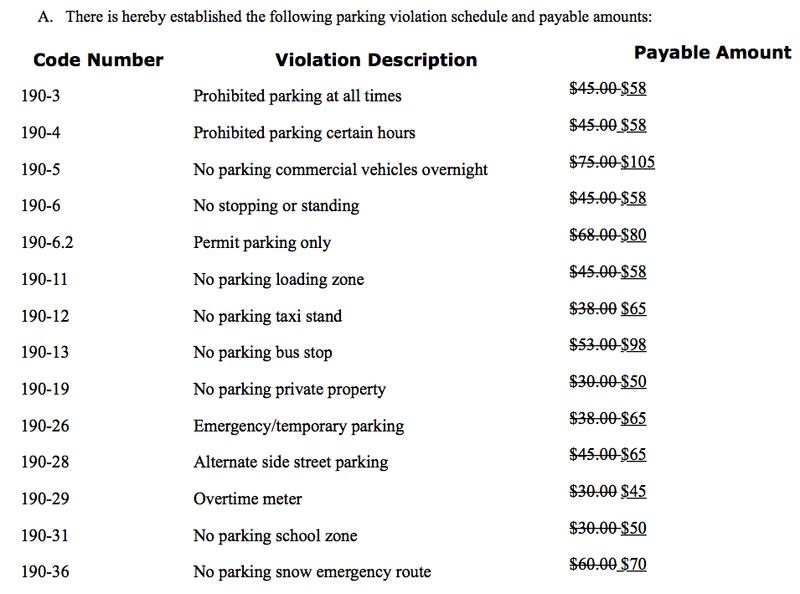 Mayor Ravi Bhalla is seeking major increases in Hoboken parking fines. The City Council meeting tonight will see the matter before them but is less likely to be receptive to the massive increases he seeks. With only two of nine council members ready to rubber stamp the increases in Jim Doyle and Emily Jabbour plus Michael Russo who has an "understanding" with Ravi Bhalla; there's likely no two additional votes available for passage. Talking Ed Note: Put this related tax hike increase into the "never let a sleepy summer time opportunity go to waste" category. The major parking fine increases presented are designed to be slipped past the goalie when no one is looking.